Hello Everyone! Mel here from Doxie Mel Designs with you today. 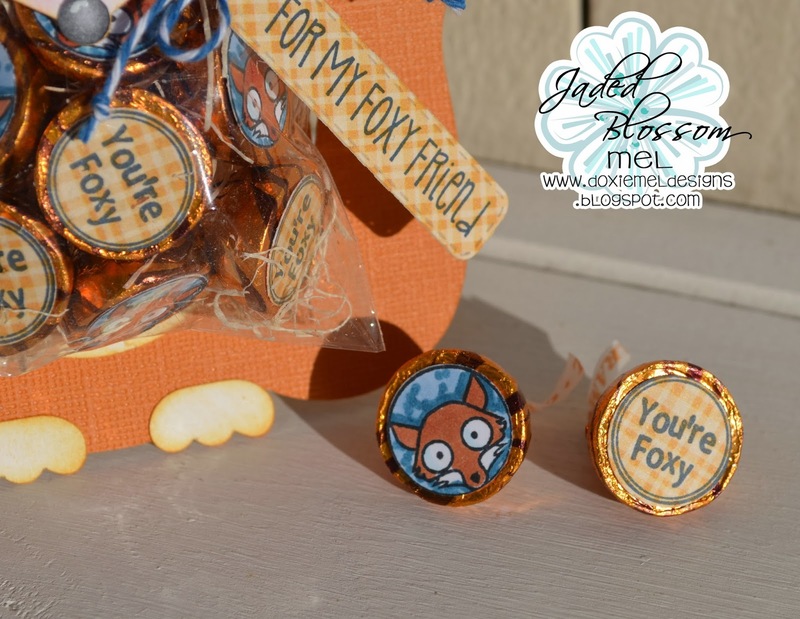 I have a treat for one of my "foxy friends". 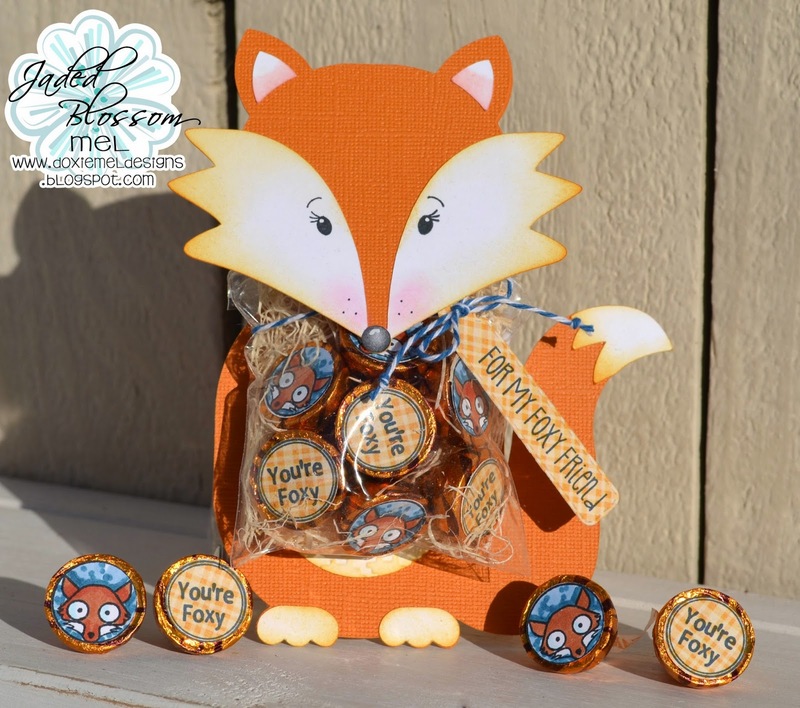 I found this adorable file at the Silhouette Online Store, Fox Treat Holder, and knew the perfect Jaded Blossom Stamps to go with "Foxy". I colored the candy fox faces with Copic Markers just to add some color. I cut a couple of the foxes and layered them to make the fox shape strong enough to support the candy. Oh my, this is adorable, great gift idea!! This is so Adorable Love it.